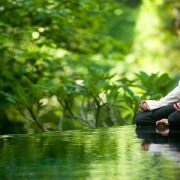 From the point of view of meditation, Hatha Yoga or any other physical yoga practice, is a supplemental science that facilitates the practice of meditation and moves you further along the road to Self Realization. In fact, one of the primary reasons I took up yoga initially was to enhance my sitting during meditation and I am glad I did. Yoga has helped me a great deal in sitting for long periods of time and in deepening my meditation practice. One of the most common complaints during meditation is with the legs falling sleep or the back getting tired and sore, and the solution to these issues is often the flexibility that come with yoga. 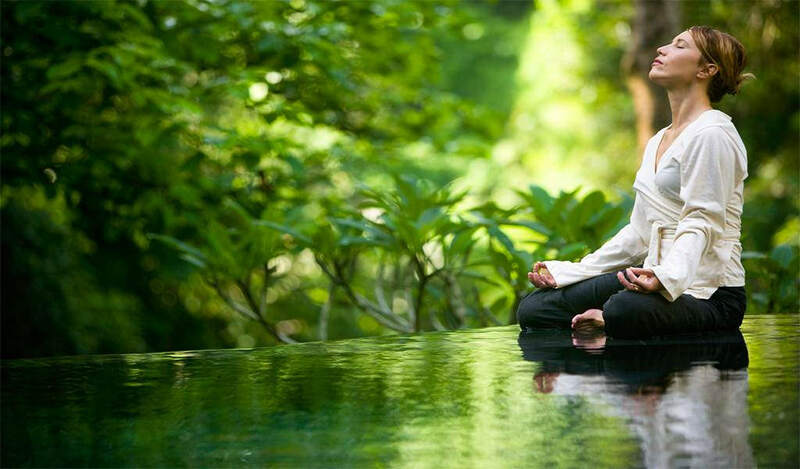 Yoga poses and exercises bestow all kinds of benefits, which you are read about here – Benefits of Yoga, but with regard to meditation, one of the most important is the flexibility with allows you to sit for extended periods of time and the calmness that yoga breathing exercises promote. To avoid the problems of the legs falling asleep or your back hurting, your meditation posture is very important. In the following article I illustrate various postures for meditation, How to Meditate with Illustrations, and in all these postures you will notice I am sitting Burmese Style (see picture below). This style is excellent for meditation and along with full lotus, it is the best posture to place your legs in for prolonged meditation. This posture helps alleviate the blood flow issues to the legs and, when used with a good Zafu, it also alleviates back pain (see Tips and Tools for Meditation). But, as you might have realized, it requires a bit of flexibility to come into this posture. Thankfully there is a Yoga pose which really helps you with sitting Burmese Style and that is Yoga Butterfly Pose. As you might imagine, being a meditator at heart, I am an avid practitioner of Yoga Butterfly Pose and I can tell you from personal experience that it has helped me a great deal with sitting more comfortably. You will find full details of Butterfly Pose in the following article Best Yoga Asana for Meditation, and in this article you will find a video of the pose below. In the video I also demonstrate how to do Root Lock with Butterfly Pose and that is a great way to end this pose and direct your energy upwards. I also want to point you to other yoga set, poses and exercises which are very helpful to meditation and here is that list for you. In a future post I will publish a complete list of how Yoga can assist you with your meditation practice, but the list below has some great techniques to get you started. Butterfly Yoga Pose is one of the best poses to begin your yoga or meditation classes with. As you have to often sit in yoga classes, starting your classes with this pose will make the entire session easier for your students, so be sure to include this pose in your programs. I also include Breath of Fire when doing this pose, and the combination is really excellent for getting everyone’s energy going. This pose is a part of both the Yoga Teacher’s Training and Certification Program and Meditation Certification Program programs and you will find it in your e-manuals. The video gives a full demonstration of Yoga Butterfly Pose. It explains how this pose helps with meditation and how to do it using Breath of Fire. It teaches various variations to the pose, including how to do Root Lock at the end of the pose. It discusses the benefits of this pose, along with other details about the technique. Please note if you have trouble viewing the video from here, I have provided the YouTube link as well which you can use.